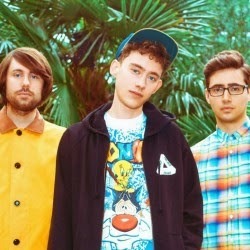 I think Years & Years is rapidly heading toward hipster One Direction territory. Except duh they're better because they wear Loony Toons t-shirts and don't date Taylor Swift. Although I guess there's still time for Swifty to claim them. RUN BOYS!!!! With the release of "Desire," these talented tweens have officially convinced me of their potential to dethrone all current boyband players. The new tune is catchy, filled with islandy vibes, and dancey enough to play at a pregame. However, their youth is making them feel dangerously inappropriate to declare my love for. "But T4L ! " you may be shouting at your comp, "Feminism! If Chris Martin can date JLaw, you should be allowed to luv some tweens without shame" Well, reader, regardless of your retarded views of feminism (that I made up that u had , so sry), if the male in question's voice is higher than mine, it's not kosher. The line has to be drawn somewhere.